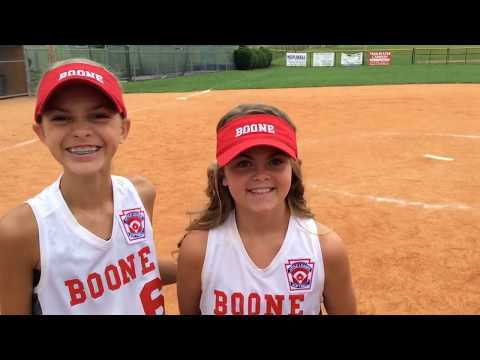 Is there a Hollywood finish left in the bats, gloves and softballs for Daniel Boone? After an impressive run to the Little League Softball World Series, the Gray team opens play Wednesday at 10 p.m. (EDT) at Alpenrose Stadium in Portland, Oregon. The opponent is Kirkland, Washington. Boone manager Lori Jenkins said she wants her team to take the same approach it had for the Southeast Region tournament, where a 4-3 championship victory over North Carolina propelled the team to the national stage. “If we go into this the way we went into Warner Robins (Georgia) — where we told them to enjoy the moment, have fun, embrace the whole experience, and not worry about wins and losses — I think we will have our heads on right,” said Jenkins. In Pool A with Boone are Kirkland, Tunkhannock (Pennsylvania), Layritz (Victoria, British Columbia) and Northwest Czech Republic. Boone plays Thursday against Layritz (4 p.m.), Friday against Tunkhannock (7 p.m.), and Sunday against the Czech Republic (1 p.m.). Pool B teams are Wheelersburg (Ohio), Bacolod City (Philippines), Cuauhtemoc (Mexico), Lake Oswego (Oregon) and Eastbank (Louisiana). The top four teams in each pool advance to the championship bracket on Monday at 1, 4, 7 and 10 p.m. Those games will be broadcast on ESPN2 and ESPNews. Fifth-place finishers get a consolation game Tuesday. The semifinals are Tuesday at 7 and 9:30 p.m. on ESPN 2. The championship is Aug. 15 at 10 p.m., and will be televised on ESPN. In the title game, Boone took a 3-0 lead before North Carolina battled back to tie. In the bottom of the fifth inning, Kyleigh Bacon hit a one-out inside-the-park home run for what turned out to be the winning run in the 4-3 decision. Boone made a trip over the mountain to Charlotte, North Carolina, to catch a flight that was paid for by the Little League organization. “For the rest of them, it was a brand-new experience,” said Jenkins.